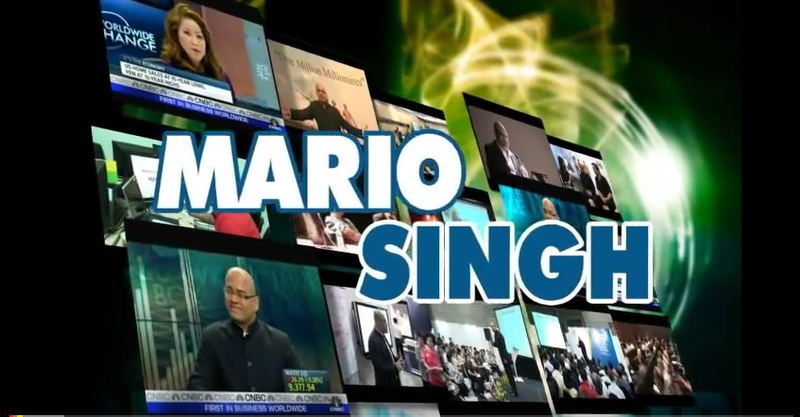 Interview with Mario Singh Publisher of mariosingh.com Asia’s Favourite Forex Blog! 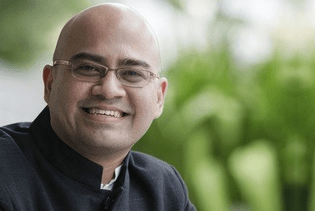 Mario Singh is one of the leading Asia’s top Forex Bloggers, coaches, educators and authors with more than 12 books published. 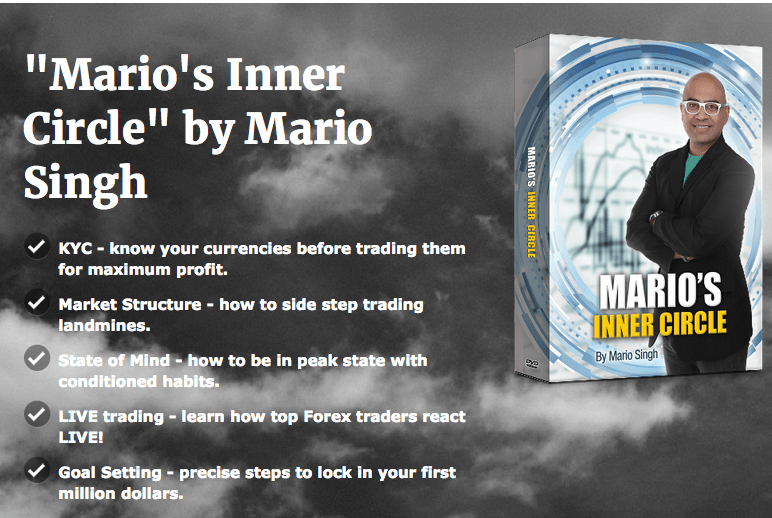 An author and a person that likes to dream big, Mario Sing aims to create 1 million enlightened millionaires all around the world through Forex Trading by the year 2020. Singh firmly believes in self directed investors, people that manages their wealth and he believes that everyone should be responsible for creating his or her own financial fate. tradersdna Kevan Hull interviews Singh about his career, his companies, how to trade, trading education, his views about Fintech, digital currencies, his thoughts about algorithm trading and about his own vision. Also we asked Singh about the main areas of growth for the trading and financial industry that now include Asia and Latin America. 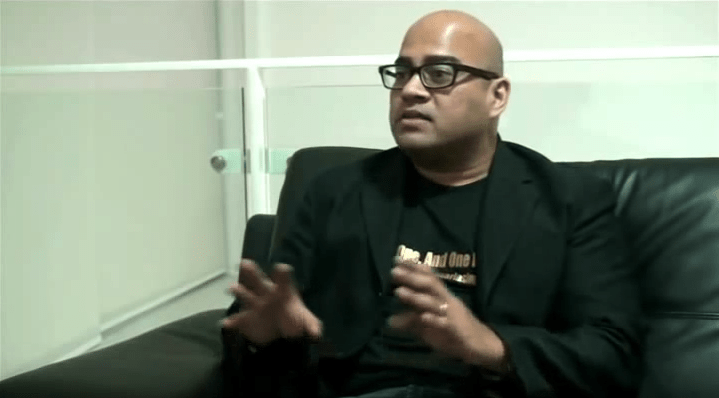 This interview highlights how Singh understood the power of Forex trading that is the largest financial market in the world and leads his work demonstrating how any person can use the financial market to create his / her own wealth. He believes that consistently being profitable in the trading – the Forex Market, makes a person achieve financial success – and also be an enlightened human being with a higher level of awareness. 1) Can you tell us about you, your company, your background and the institutional and retail segment targeting of each of the three companies. 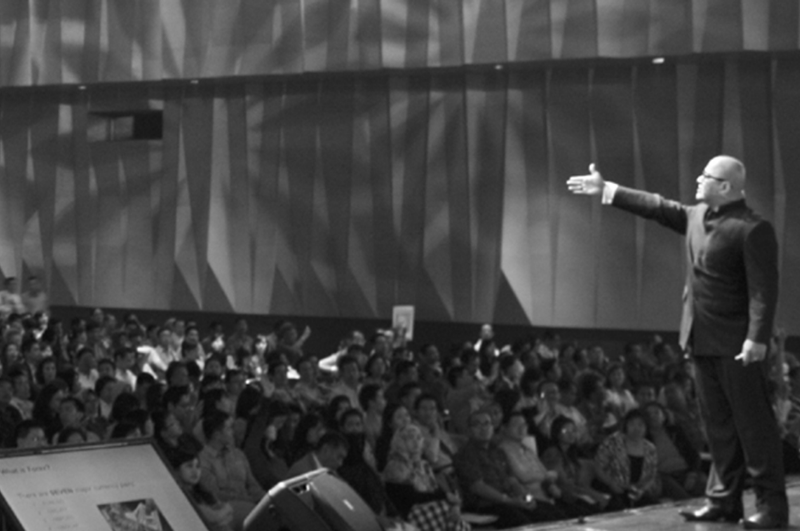 I’ve been involved in the financial markets (particularly in the Forex arena) for the last 12 years. I’ve written two best-selling books “17 Proven Currency Trading Strategies” and “Unlocking the World’s Largest Financial Secret” which are endorsed by global billion dollar fund managers like Mark Mobius, Executive Chairman of Templeton Emerging Markets Group, and David Kotok, Chairman of Cumberland Advisors. I’m the chairman of a Holdings company called Soulrich. This company focuses on providing world-class education, primarily for the retail segment. Resources include full-fledge LIVE events, online learning and a revolutionary trading app called ProfitPips which has everything from LIVE trade calls to LIVE coaching. This is a hedge fund which focuses on fund management for high net worth individuals and family offices. 2) Customer relationship management is dependent on the technology that services the needs of the clients. Can you elaborate on this? We have several ways to do this. One key way is the employment of Analytics in our group. Our in-depth analytics helps us to understand client behaviour, their needs and wants. All this is done without infringing their personal data and space. Analytics is important for us to measure and manage our clients to better serve them in a more personal way. 3) What can you tell us about the development of the education , trading and fund management parts of the Group and how you differentiate yourself from the competition for each one? In the fund management arm (Pinnacle), we offer two products called Alpha-1 and Alpha-2. Many of our clients are on Alpha-2 because it provides a capital guarantee and a fixed income payout. Clients love this for the peace of mind and consistency in receiving regular coupons. 4) You offer a technological solution that removes the complexities and costs of connecting the foreign exchange market. How do you see your product in the overall context of the FX / trading technology providers? Technology is always evolving. What may seem as cutting-edge today may become obsolete tomorrow. Hence, we always strive to push the boundaries of innovation. Technology plays a big part across our group of companies. In Fullerton Markets for example, we invest heavily on infrastructure and servers which allow us to connect directly to data centres in London, the world’s largest financial centre. This direct connectivity allows us to drop execution speeds from “acceptable” industry levels of about 400 milliseconds to 200 milliseconds. 5) What do you see as being the most important considerations for the industry going forward? There needs to be more collaboration instead of competition for us all to move and advance forward. 6) With the ongoing Fintech revolution what are your thought on the FX technology platforms ecosystem at the time present? With the Fintech explosion, many firms are frantically trying to come up with their own proprietary platform to try and differentiate from the rest. While commendable, this should not be the only focus. Having a proprietary platform does not guarantee client retention nor the tag of being a world shaker. Other factors like management competence, product innovation, client experience, infrastructure and marketing are equally important. 7) What is your perspective on the emergence of new digital currencies in the context of FX Trading? It’s what the market wants, so I’m sure it will be around for some time. Warren Buffett hates it, Richard Branson loves it. 8) Algorithm trading represents around 75% of trading activity at the moment. How do you see the future for algorithm trading, in terms of technology and regulation? I think they are here to stay. Algo trading exploded with Renaissance Technologies leading the way. Regulators will only step in if they find violations in compliance and financial irregularities. 9) What is your take on social and mobile trading technologies? Both have immense potential and are fairly intertwined. Most people today “surf” on their mobile. With the explosion of social media platforms like Facebook and Wechat, many companies are jumping on-board the “social/mobile bandwagon” to seize a captive audience. I’m guilty of that as well, when we rolled out our trading app called ProfitPips. 10) In general, what are the biggest regulatory challenges in Forex and algorithm trading, particularly in terms of the regional differences? That’s a tough one. Cysec used to be “easy” on their regulatory approvals but they have since tightened up. Clients generally look for brokers who are regulated by FCA in UK, ASIC in Australia and FMA in New Zealand. The bridge between companies and regulators lie ironically, in the client. If the product offering is seen to help the client, regulation won’t be a problem. If products are deemed as risky or a “potential scam” to fleece the client, regulators will surely step in. 11) What directions will the Forex industry take in the future in your opinion? Regulators are watching the industry closely because more and more people are jumping on it everyday. Type “Lamborghini” on Google and it returns about 60 million searches. Type “Forex” and you get a whopping 94 million searches. 12) Corporate trading and real trade best execution transactional costs changes? Fixing product, where is it going? Offerings will be more competitive and costs can only go down as competitors try to gain a significant edge over one another. Corporates have slightly different needs compared to retail individuals. Corporates need the backing of regulators and counter-party risk mitigations. Retail individuals don’t necessarily need/want these things. 13) In your opinion how will the new generation – one that has grown up with open data, no privacy, social media, and online gaming – react to the FX market? Interestingly enough, I think they will embrace it with open arms. This can be a double-edged sword though. The new generation thrives on open data, social media and online gaming. However, this is where education needs to come in. It isn’t very smart to “bare all” on the internet and FX market. 14) Where do you see the greatest opportunities geographically? The industry is fairly mature in USA and Europe. The main areas of growth now include Asia and Latin America. 15) What is your biggest current challenge? I’d say its education. Forex today is so different compared to what it was 10 to 20 years ago. Many people still think its a scam. In our fast-paced world, almost everyone is involved in Forex. From regulators, to central banks to commercial banks and right down to the individual traders. It’s a legitimate asset class. The sooner more people embrace it, the better it will be for the industry as a whole. The Forex market is the largest financial market in the world. From the last official BIS figures in 2013, it stands at USD5.3 trillion. Once figures are out later this year, the number is bound to be higher. I see immense opportunities in both the retail and corporate segments in the years to come.